Family Weekend will be taking place October 19-21, 2018! Family Weekend is the perfect time to reconnect and see the campus through your student's eyes. Come meet the roommates and new friends you've been hearing so much about and learn more about SSU's curriculum, traditions, programs, and services. No matter how you choose to spend your weekend we hope you'll take advantage of this time to build some special Seawolf memories and enjoy your student's home away from home! In addition to other campus events, we have planned the below Family Weekend events for you and your student to attend! Check back to see updates and additions to Family Weekend. Questions? Email familyweekend@sonoma.edu! While you're visiting, feel free to explore the area! Click here for a list of activites and nearby destinations. 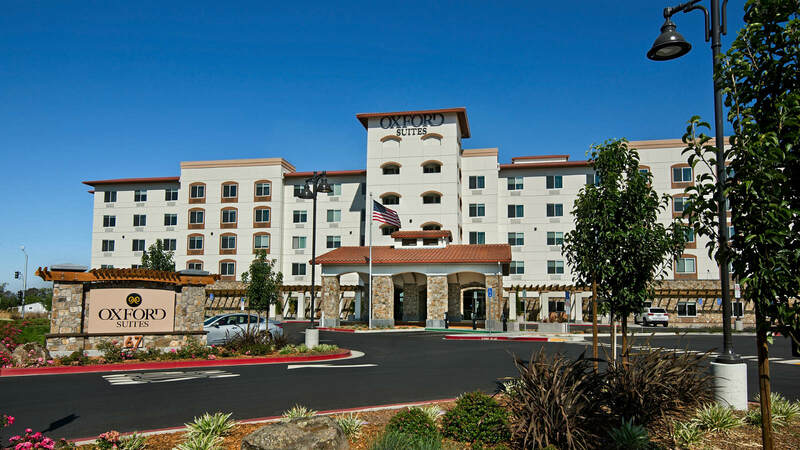 Oxford Suites Sonoma County is a brand new hotel that offers complimentary breakfast, an evening reception, and much more! We are located just 10 minutes from campus and have many restaurants with in walking distance. Last day to make reservations is September, 9/21/18. Call the hotel directly and reference "SSU Family Weekend" to receive discounted rate. Shuttle service to and from Graton Casino, Sonoma County Airport, Bear Republic Brewing Co.
On site restaurant, Barrel Bar, is open for dinner nightly.